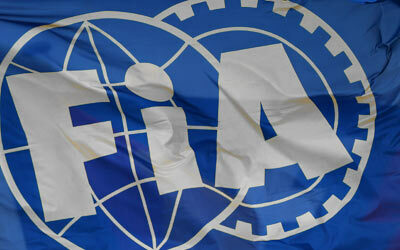 The FIA have started a tender process for a common gearbox supplier for the 2021-24 Formula One seasons as part of the regulation overhaul that is being drawn out in the lead to 2021. I don't understand why they're showing these images of what are entirely exercises in styling over function. Unless the FIA is going to turn F1 in to a single make series, the "concepts" are just evidence of old men trying to appeal to young people. "Oh look, swoopy stuff, lovely, yes?". Er, no, cartoon styling is not what F1 needs. Concept images are all well and good. But the cars will only look how they intend if they a) have a single car formula designed to there spec or b) over restrictive regulations. Apart from that it will just be regulation boxes and the teams do as they like in those areas. Id much more prefer them not worry too much about the look, which all this exercise seems to be about, and more worry about the aero elements which will actually work for better racing i.e floor design. Can't understand how indycar made such a great job both in retro styling and better racing in just a few months and Formula 1 can't! They don't want to embrace full on ground effect with minimal wings! That's the way to go...at least Indycar did it! Simpler smaller wings...bigger diffuser! Concept 1 is the only version which looks like it might be enforceable as an aero package. I'm not sure the halo in these concepts is a better safety device than the one we have - especially for head-on debris. Minimal wings??? Have you actually seen the wings on an Indycar???? I've said it before (based on evidence) a big rear wing is better for a following car than underbody aero. The racing in the late 90's Champ Car series would strongly suggest otherwise. I get the impression you are likely in your 20's? If so you missed out on some of the best single seat racing seasons in the history of motor racing imo. Oh, and asking his age is irrelevant - look at the user's technical input in to the forum, especially the link to his PhD thesis where he assessed this very subject. A good paper to read if anyone is interested in reading more about the underbody aero v rear wing and the effect it has on a following car. @jjn9128 - did you use a rough representation of an F1 car or was you able to source actual F1 car data for your model? Also - seeing a sample of what you wrote but understanding none of it leads me wanting to ask some really simple crazy questions....if you don't mind? Just interested to know the difference in effect of the wake off the back of a current Williams vs a Red Bull/Mercedes? Performance on track looks huge difference, especially in qualifying but would there be a difference in the 'wake profile', or whatever it's official technical name is? Going forward into 2021 the areo regs could be written to allow closer racing (reduce wake/turbulent air), could team still add bodywork with little effect on their performance but drastically reduce the chance the follow closely for the car behind? I've always wondered if regs could be written to say the air behind the car must become 'neutral' after 8 (or x)meters? Yeah these wings are big but look how simple they are...i am talking more of the 1978-1982 Formula 1 ground effect era where teams didn't even run front wings sometimes! I am refering to Venturi tunnels with skirts and not just big diffusers. And well yeah i am in my 20s but guess what...i am wathcing 90-00s racing both from Indycar/CART and Formula 1 every single day instead of watching movies or series Thankfully the internet has saved us from losing such great racing!! Ok well that’s awkward haha. I think that all of the F1 media should read that before blindly saying “go back to ground effect for better racing” and also maybe find out what ground effect actually means.